Let’s make Chiharu’s Rare Cheesecake! So, this is something I’ve wanted to do for a loooong time. Since the manga release, but there wasn’t… quite enough information to properly do so and being a huge perfectionist, I decided to hold off hoping the Anime would expand on it, or at least, show enough that between the two, we’d have enough information and to my delight, it did. I had wanted to do it since the episode over a month ago, but a lot of things made it a bit difficult sadly (so for those of you who keep asking me where the next episode of Miitopia is, that also goes under this… Seriously, I’m doing my best, please be patient). I actually am incredibly picky with cheesecake. The usual “New York-style cheesecake” is actually a type that I… kind of… hate. 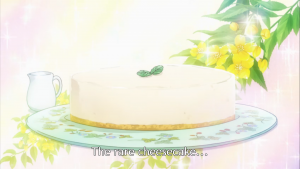 I found I generally prefer European style cheesecakes and well, I’ve never really had a Japanese cheesecake before which makes this an adventure in itself. Cardcaptor Sakura is a pretty special show to me for a lot of reasons. For one: It’s the first anime I had ever seen subbed and kind of opened up that whole “anime is from Japan” door for me. While Animal Crossing got me more interested in Japan’s culture, Cardcaptor Sakura got me interested in Japan in the first place and, especially, Japanese food. It’s not that I hadn’t had Japanese food before, but mainly just “staples” in a way–in fact, my absolute favorite Japanese dish is something I only first saw in Cardcaptor Sakura: Takoyaki. For the most part, I doubled all the ingredients from this recipe as Japan generally uses smaller pan sizes. On average, there’s is about 6 inches. We have a 9 inch spring form and doubling helped it fit perfectly so… The only things I didn’t double are the Lemon Juice and the Gelatin which use the same amounts as the 6 inch. 1. Crush graham crackers with a rolling pin or just… smacking them in a ziplock or something. Just crush them to pieces. I did find the rolling pin the best method though. 2. Microwave the butter to melt it. Combine it with the graham crackers. If the graham crackers seem a bit too dry, feel free to add a bit more melted butter. 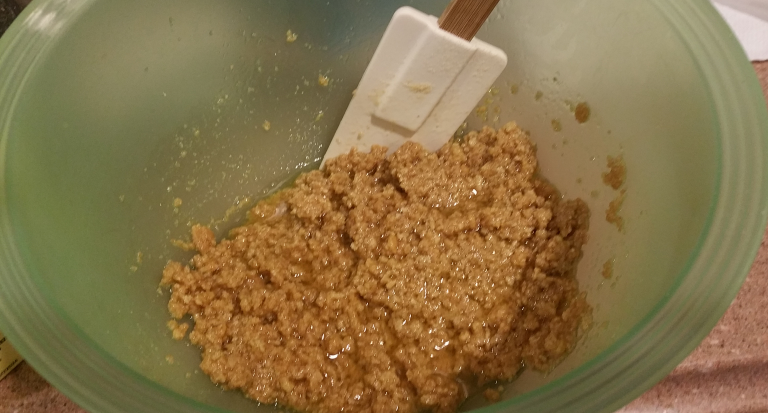 Similarly, if they seem too wet, try adding some more crushed graham crackers. It’s a small enough amount that it shouldn’t be too huge a difference and I find the kind of graham crackers and butter used can cause some variance. 3. 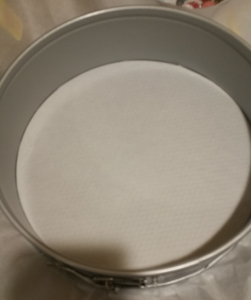 Line a 9-inch springform pan with parchment paper on the bottom. Press crust down evenly against the bottom of the pan. Put in Fridge to harden. You can also do the freezer if you’d like it to harden faster, though, I found the fridge fine. 4. Sprinkle gelatin in 1/4th a cup of water. 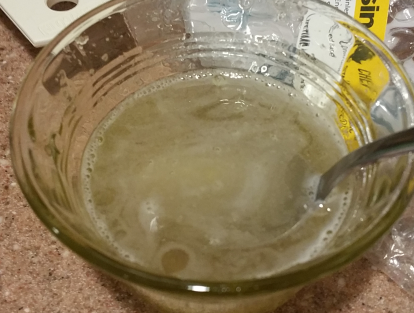 After the gelatin has absorbed some of the water, microwave about 10 seconds and stir to smooth it out and break up chunks. 5. 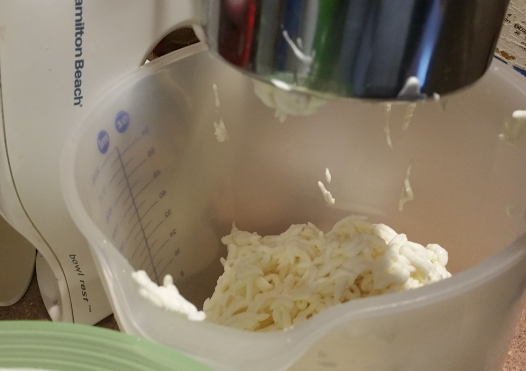 In a bowl, mix the softened cream cheese a bit. You can also add the lemon juice here or at the end of the next step. 6. In a different bowl than above, whip the heavy cream a bit. Add in the sugar and honey. 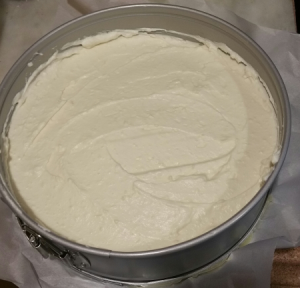 When the mixture begins to have soft peaks, add in the softened cream cheese and lemon juice. 7. Make sure the gelatin is no longer hot and stir it again to make sure it hasn’t reclumped together. Then add the melted gelatin to the mixture and stir. 8. Pour the mixture through a sieve into another bowl. 9. Then pour the mixture into the springform pan on top of the crust. Set it in the fridge for at least 2-3 hours. It is definitely the most firm overnight though! 10. Once finished, cut yourself a piece and top it with what you desire. While the recipe does recommend fresh fruit, fruit sauce, or mint on the top, I decided to go with whipped cream as I’m super picky with fruit sauces and I’m allergic to mint so! But really, just do whatever topping you want. 1. Place a metal mixing bowl and metal whisk into the freezer for 10 to 15 minutes (Optional, but helps a lot). You could also sit the metal bowl on some ice while doing the whipping. 2. 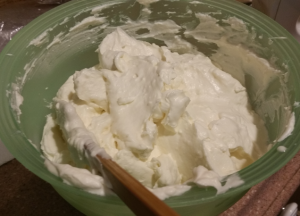 Put sugar and heavy cream into a mixing bowl. Whisk until stiff peaks are formed and then it’s done! Top your cheesecake with as much as you’d like. 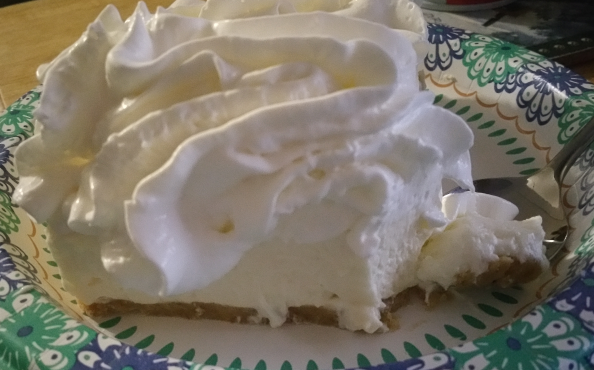 I really liked it–it’s definitely more a creamy cheesecake which I prefer. It is VERY sweet so if you’d prefer things less sweet, maybe add a little more lemon juice and lessen the honey (which is actually optional), but I think the honey gives it a nice taste and I do like things pretty sweet so…. 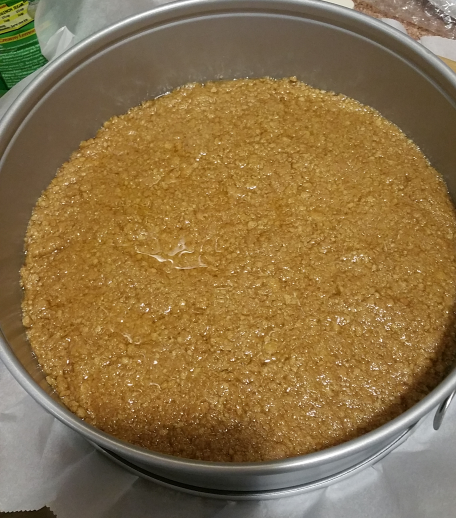 Similarly, it was a bit soft and fluffy like I mentioned so maybe doing a bit more gelatin (as we only used the original amount mentioned in the show’s/manga’s recipe list which is for about 6 inches) would’ve made it more firm, but I really like it at this consistency personally.